Illinois is the fifth most populous state in the nation, and it is the twenty-fifth largest state by land area. This state has a long, rich history and it was admitted into statehood in 1818. The state slogan of Illinois is “Land of Lincoln” to honor President Lincoln, who was one of three presidents elected to office while living in Illinois. This state has everything from large cities to smaller industrial cities and towns, tight-knit communities, and dozens of education opportunities. Today, Illinois is well-known for its manufacturing and agriculture industry. Many people come to the largest city in Illinois to experience what its like to live in a fast-paced and thriving city. The varied economy and the multiple education opportunities draw a younger crowd of people looking to find a place to settle down. Whether you choose to live in a smaller community or a larger city, you'll get the friendly; midwestern feel that the state is known for. People move to Illinois because Chicago is the third-largest city in the United States with over two million people and counting. They want to have the big city lifestyle without losing the charm of the Midwest, and that's what they get with Illinois. The cost of living is also a big draw as Illinois has a lower cost of living than the national average. This makes the state desirable for people who are just starting their careers and people who are moving toward retirement age. 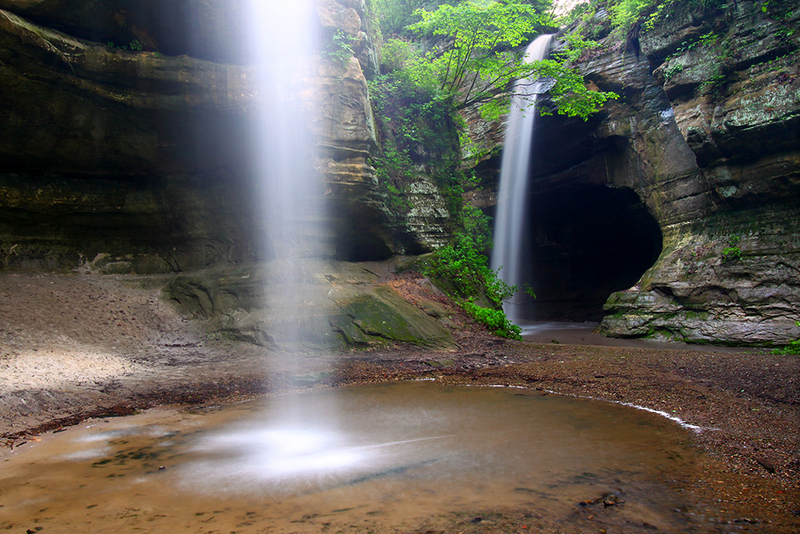 Chicago is a big draw for tourists, but the state has many rural attractions like Starved Rock State Park. However, people are also leaving Illinois as fast as they're moving in for a variety of reasons. As of 2016, Illinois lawmakers passed a budget that saw an increase in resident's income taxes by 32%, and this makes Illinois one of the worst states in the nation for tax rates. Additionally, property taxes are also high in this state, and this can make the older generation want to sell and move to other states where the tax rates are more affordable for their income bracket. The younger generation and people in their early 30s seem to be finding Illinois an attractive state to move to for the variety of jobs, and these include high paying ones. People who are settled and comfortable in their lives are also choosing to move to the state to establish themselves and build a life. The opportunities in this state are varied and diverse, and this appeals to a large group of people. More than a decade after the Great Recession, the Illinois real estate market still has not fully recovered. Nevertheless, the situation is improving, and good values can be found outside of the Chicago area. Median incomes justify prices in most regions, although a steep property tax in the state makes ownership more expensive than it could be. Real estate prices in Illinois present an interesting challenge to analysts because the state has two very distinct markets: Chicago and the surrounding suburbs, and the rest of the state. This dichotomy affects the general level of prices as well as growth rates in the most popular destinations. Ultimately, the mortgage and foreclosure options and procedures apply to both areas and understanding them is important to navigating the Illinois real estate market. Housing prices in most parts of Illinois approximate those in the rest of the United States. The Chicago metro area is the lone exception, where prices tend to be far above the national average. Most regions of the state see median prices between $260,000 and $330,000, which makes Illinois cheaper than other states like Florida, California, and New York which contain leading international cities that compete with Chicago. As a whole, the Illinois real estate market is on the road to recovery from the housing market crash. In 2007 the statewide housing market peaked before sliding about 20% over the next half-decade. In the third quarter of 2007, the real estate market hit a slight plateau that leveled off and resumed falling in the first quarter of 2008. This fall continued until the third quarter of 2008 when the market plateaued again only to resume falling in the first quarter of 2009. This pattern continued until the second quarter of 2010 when the Illinois market saw a slight peak that lasted until the fourth quarter of 2010. As 2011 came around, it brought another plateau that lasted the entire year of 2011 before falling once again. This fall continued until the second quarter of 2012 when the market hit its lowest peak and stopped falling. Between the second quarter of 2012 and the first quarter of 2013, the market saw a slight increase that dropped back down. In 2013, the market began to gain traction and had a jump in the housing market that began to level up and continue its upward track in 2014. It has continued this climb with 2017 showing a slight increase in sales. However, it is important to note that the market still isn't where it was prior to the crash. The Chicago-Naperville-Arlington Heights Metro area had a slightly different path than the state of Illinois as a whole. It too saw the housing market go into its first and only peak in the first quarter of 2007 before seeing a slight fall in the market. By the time 2008 came and went the market was falling rapidly. The first quarter of 2009 saw a sharp gain that almost immediately dropped off again. The market continued this freefall until the first quarter of 2010 when it leveled off. This slightly slowed falling pattern stayed until the third quarter of 2010, when it started dropping once again. It dropped until the second quarter of 2011 when it saw its final slight plateau that lasted until the third quarter of 2011. After this plateau, it dropped to its lowest point in the second quarter of 2012. By the end of 2012, the Metro's housing market was already on the mend with only a slight dip in the start of 2013. Since the first quarter of 2014, the Metro's housing area has been steadily climbing, although it still isn't back to the point it was at before the housing market began to drop. Unlike the Chicago-Naperville-Arlington Heights Metro and Illinois's housing markets, the Case-Shiller-Chicago Metro area suffered in the housing market crash. The housing market of this area began to show trouble at the start of 2006 when it hit a peak and dropped rapidly until September of 2006 when it recovered. It went into a very steep peak in March of 2007 before starting to freefall at an alarming rate. The market plummeted until the middle of 2009 when it saw a slight recovery. However, this recovery was short-lived, and the market resumed its fall. April to August 2011 saw a slight plateau that dropped to the market's lowest point in April of 2012. Since it hit its low point, the market has been unstable. By August 2012 the market saw a sharp rise that turned into a more gradual ascent that continued upward until January of 2014 when it had a slight setback. In March of 2014, the market experienced a peak that dropped off again before going into another peak in March of 2015. This pattern of sharp peaks and drops have continued, and the market saw sharp peaks in February of 2015, April of 2014, and April of 2016. Rising local taxes offset economic growth. The Illinois Association of Realtors has analyzed housing data throughout the Prairie State and has calculated the median home price to be roughly $193,000. This figure includes both condominiums and single-family dwellings. It represents an increase of approximately 7% from the previous year’s data. In fact, real estate values have been increasing every year in Illinois for the past six years in a row. The state's property group expects prices to continue climbing in the future, with above-average increases in the Chicago metro area. The Prairie State’s median home value is slightly less than the national figure, which is $234,000, according to the National Association of Realtors. The national average is $276,000. This number represents a growth rate of 3.6%, slightly slower than what we have seen already for the Prairie State. The same group estimates that it currently takes about 51 days for a home in the Land of Lincoln to sell. This is a shorter time than previous research, which showed almost 2 months. Illinois at most recent count had nearly 61,000 residential properties for sale, which is actually a decline from a previous calculation of nearly 68,000. The state-level real estate association believes that inventory could continue to pose a problem for Illinois’s real estate market in the future. It’s actually been decreasing year-over-year for the past decade, which is one reason why prices have been rising. A heat map of U.S. home values is hosted by Trulia, a popular real estate website. Colors of red and dark red symbolize high prices, while green and dark green show the country’s cheapest areas. The Prairie State is mostly green, although there is significant amounts of yellow and red in the northern and northwestern suburbs of Chicago. There is also notable red in Hindsdale, which lies to the west of the Windy City. Both property tax & income tax rates have climbed across the state over the past decade. State & local governments have drastically under-funded pension plans – Illinois has the lowest state pension funding ratio in the nation. One phenomenon not helping to aid the recovery is the revenue levels of local governments, particularly in the city of Chicago. As real estate prices fell in the wake of the Great Recession, foreclosures and delinquencies mounted, plunging tax revenues. That left many municipalities struggling to maintain basic service levels and facing economic hardship. Cook County, home of downtown Chicago, was deeply impacted. The recession increased the demand for public services at the same time as revenues fell. To offset this disparity to some extent, sales taxes were increased several times – finally cresting the 10% level. While the city has seen increased income as a result, there has been a definite exodus away from downtown. Consumers faced with the need to tighten their own budgets are more willing to travel outside the city (and county) in search of lower sales tax. In response, businesses have relocated outside of the city as well. The combined impact has put an additional strain of the already struggling local government. Chicago Parking Meters paid the city $1.15 billion to manage the meter system and pocket the money fed into it for the next 75 years. … In the seven years since, the meter company has reported a total of $778.6 million in revenues. It’s on pace to make back what it paid the city by 2020, with more than 60 years of meter money still to come. … The meter company billed city taxpayers a total of $48.2 million for these out-of-service payments for 2012, records show. In 2018 Chicago is expected to pay the parking meter company another $20 million. The byproduct of the sales tax maneuvering is that an increased number of people are choosing to live outside of the city. This is adding to the negative price pressure on city real estate. Therefore, while prices have stabilized and remain elevated, the decline has been sizable and has had a significant impact. The Land of Lincoln, like many other states, fared badly during the Great Recession of 2007, and many areas have never recovered. The S&P/Case-Schiller Home Price Index for the Chicago metro area shows a peak in March of 2007 followed by a steep decline until April of 2012. It was a 37% loss in value. The index began increasing, but at a much slower pace compared to the drawdown. It still has not reached its pre-Recession level; in fact, at last count, it is about 20% below. This is a significant problem for the Windy City as many other areas of the country have recovered, according to other home price indexes from S&P/Case-Shiller. The group’s national index reached its pre-crisis level in August of 2016, Seattle’s index found its way back in 2017, while Portland, Oregon’s index reached the breakeven point in September of 2015. While other regions of the country have recovered, Chicago is still struggling. Both Illinois as a whole and the Chicago-Naperville-Arlington Heights Metro had similar real estate trends. Both of these markets experienced gradual increases in the housing market that started in the early 1990s. They also both and very slight increases that leveled out to more gradual climbs in 1994 and around 1996. The third quarter of 1999 marked the beginning of a slightly increased climbing pattern. From 1999 to 2004, the market saw a steep climb that leveled out into a more gradual climb at the start of 2005. This trend continued until the market peaked in 2007. However, the Case-Shiller-Chicago area differed from the statewide trends. From 1990 until 2001, this housing market began on a steady climb that only saw slight fluctuations in 1992, 1994, 1996, and 1998. The end of 2001 saw the start of a steep incline in the housing market. This steep climb continued largely uninterrupted until March of 2005. From March to September of 2005, the market plateaued out before beginning a very steep climb that resulted in the first housing market peak in March of 2006. This peak dropped off swiftly until December of 2006 when it began to climb into the final peak before the housing market collapsed. Winnetka, a small village in the Chicago area, was still trying to get above water nearly a decade after the housing crisis began. The median home price there was 29% less in 2015 than it was in 2005. The S&P/Case-Shiller Chicago Index, which covers a large geographic region, doesn’t tell the whole story, however. Median and high-end areas saw major declines in value, but the most expensive areas held their values throughout the real estate catastrophe. Recent market data for Illinois show that the property values for the state as a whole haven’t quite made it back to levels seen before the mortgage disaster showed up. Values bottomed out in 2013 after falling from 2008 highs. There has been a steady increase in the average home value in the state, but the pre-crisis level still has not been reached. Foreclosures were a problem during the Great Recession in the Prairie State. RealtyTrac, a property organization that monitors home delinquencies, describes the Land of Lincoln as one of the worst states for foreclosures in 2007. Over 1% of homes were in foreclosure at this time. According to data from the Woodstock Institute, an Illinois-based research and advocacy group, this appalling foreclosure rate has been on the decline. The Chicago area saw nearly 46,000 foreclosures in 2013, which dropped to 28,000 in 2014. This was the lowest rate since 2007. Today, RealtyTrac’s research shows that there is one foreclosure in the Prairie State for every 1,348 homes. This is nearly 50% bit worse than the American average, which is roughly one out of every 2,000. Across the state of Illinois homeownership has ranged between 60% and 73% over the last 33 years. In 1985 ownership stood at 60.6% and climbed almost every year for a nearly two decade stretch, reaching a peak of 72.7% in 2004. Since reaching that peak, ownership has declined almost every year & stood at 65.3% in 2016. While housing in Illinois tends to be on par with much on the country outside of the Chicago area, Chicago real estate prices are well above the national average. This is expected with any large U.S. city. As a whole, the recent average home price in Illinois is $170,300; this is below the national average of $205,100, putting it well behind states like California, New York, and Florida (averages in these states tend to be upwards of $400,000). What is misleading in these figures is that home prices in the Chicago area are most consistent with California and New York – the large rural part of the state lower the blended figures. Illinois is a state with many large cities that sprawl over miles and miles. It is also home to smaller communities, suburbs, and towns. Illinois is home to the city of Chicago, which has a population of 2,704,958 people. This population puts Chicago firmly in the place of the third-largest city in the nation, and the largest city in the Midwest. The Chicago-Naperville-Elgin Metro has a combined population of 9,512,999 people, and this population puts the Metro as the third-largest in the nation as well. 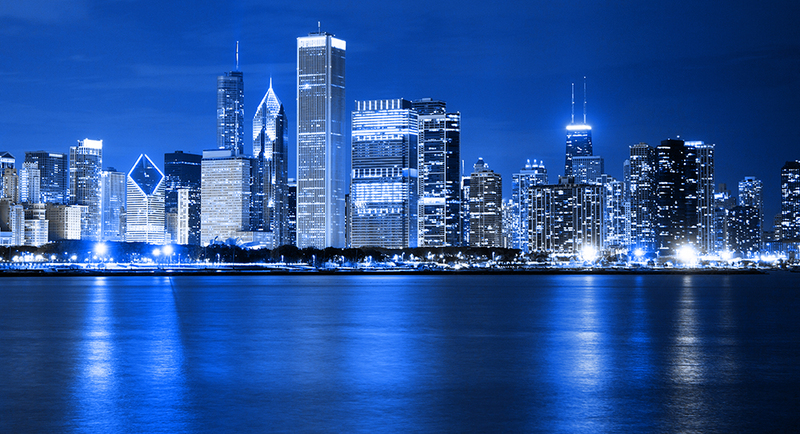 It is affectionately known as “Chicagoland.” This city has also been referred to as a global architectural capital, and it has one of the most important business centers in the world. Chicago has the third-largest grossing Metro in the nation with $658.6 billion being the most recent estimation. It has also been ranked as having one of the most stable economies in the United States due to the diverse sectors that make up the economy. Chicago is considered to be one of the world financial centers, and it has one of the largest business districts in the nation. Trades and exchanges also dominate part of the economy, and the city with the surrounding Metro has one of the largest labor pools in the US. Food processing, printing, manufacturing, and publishing make up other important economic sectors. Chicago's economy is driven by several industries, and the city has played a key role in America's economic growth for decades. The city has a large financial sector; it is home to the Chicago Mercantile Exchange and the Chicago Board of Trade. Several large companies are headquartered in the area, including Kraft Foods, Walgreens, and Sears. Hospitals and government agencies provide many jobs, too. Chicago has four distinct seasons and it is located in the humid continental climate zone. The summer months are warm to hot with humid air with July being the hottest month with temperatures in the mid-70s. The winters are cold and snowy with January being the coldest month with temperatures staying just below freezing. The spring and fall months are cooler, and the spring brings thunderstorms capable of producing hail, strong winds, and tornados. Finally, Chicago is no stranger to extreme heat and cold waves year round. The nightlife and the lakefront bring millions of tourists to Chicago year round. Lincoln Park is home to the zoo and the conservatory, and the River North Gallery District possesses the largest concentration of contemporary art galleries besides New York. Chicago is also home to the Chicago Pride Parade, and this is the largest LGBT events in the nation with over one million attendees. Chicago is also home to several world-renowned theater companies including the Goodman Theatre. The Field Museum has the largest T-Rex skeleton in the world. The Museum of Science and Industry is also a popular attraction. Chicago is known for its many professional sports teams that have won several championships. They are home to the Cubs, White Sox, Bulls, Bears & Blackhawks. The Chicago Public School District is a huge system with over 600 schools. Chicago is also a world center for higher education, and it is home to over 20 different universities and colleges. The University of Chicago is one of the top-ranked colleges in the nation, and students can also attend the Illinois Institute of Technology. There are also several other notable colleges in and around the city including Truman College. If you combined the top 25 employers in Chicago, you'd find they employ over 350,000 people. The largest employer in Chicago is the Chicago Federal Executive Board with over 48,900 people. The second-largest employer is the Chicago Public School District with over 39,000 staff members. Finally, the third-largest employer in the city is the City of Chicago with over 31,000 employees. Despite the diverse economy, Chicago still has an unemployment rate that is higher than the national average. However, there has been an increase of over 1% in the available job market in the past year. There is also a projected growth of over 40% in the coming decade. This may work to lower the unemployment rate and bring it below the national average. The median home price in the Windy City is $279,000, according to the National Association of Realtors, yielding a price per square foot of $254. These prices have grown by 5.6% in the past year, and they're projected to rise an additional 2.1% in the coming year. The Chicago Metro has a local median home price of $294,900 with a price per square foot of $153. The U.S. Census Bureau reports a median household income of $50,000. Thus, we see a price-to-income ratio of 5.58, which is slightly above average. Atlanta, Georgia, by comparison, has a metric of just 2.55, less than half of Chicago's. Lake Forest is one of the wealthier suburbs north of Chicago. The National Association of Realtors estimates a typical closing price of around $760,000. With a median household income from the Census Bureau of $157,000, we see a metric of 4.8. The second-largest city in Illinois is the city or Aurora with a population of 201,110 as of 2016. Aurora is part of the larger Chicago-Naperville-Elgin Metro, and they have a combined population of 9,512,999 people. This city is classified as a suburb of Chicago, and it is the one-hundred fourteenth largest city in the nation. The city sits on the end of the Illinois Technology and Research Corridor, and this has a large influence on the local economy. Additionally, the city has a long history of the manufacturing industry, and this continues today. The city wants to be promoted and known as a premier overnight location for tourists. Aurora has a humid continental climate with four distinct seasons. The summer months are typically hot and humid with June through August being the hottest months with temperatures in the high-80s. December through April are the coldest months with temperatures in the mid-20s. This city routinely experiences heavy snowfall and blizzard conditions throughout the winter months. The downtown sector of Aurora is filled with historic places and many architectural landmarks. Visitors can visit a very large live performance theater called the Paramount Theatre that hosts performances year-round. The Aurora Regional Fire Museum is another popular attraction, along with the rich entertainment industry. The Stonebridge Country Club is a popular golf destination for locals and tourists. 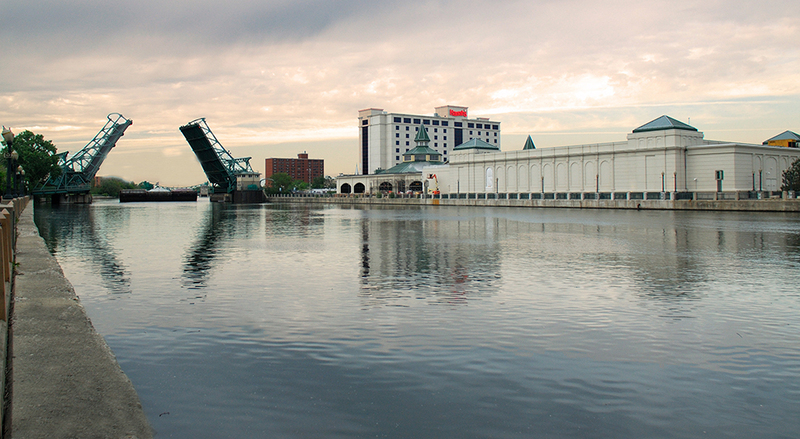 This city is home to Aurora University along with several branches of other influential colleges. This university is one of the top-ranked in the Midwest, and it has thousands of enrolled students. There are also over 40 public schools in the city under the umbrella of the Aurora Public School District. Students can attend Rasmussen College or the Waubonsee Community College as well. The medical and education industries dominate the local economy in this city. The largest employer is Rush–Copley Medical Center, and it has over 2,000 employees. The second and third-largest employers in Aurora are the public school districts with West Aurora Public School District 129 employing 1,500 people and the East Aurora Public School District 131 employing 1,300 people. The unemployment rate in Aurora is slightly higher than the national average, but the city has seen recent job growth of over 1.5% in the past year. Additionally, Aurora is slated to add over 37% more jobs over the next ten years. This may help lower the overall unemployment rate and make the economy stronger. The local median home price for Aurora is $172,900 with a price per square foot of $125. These figures have increased by 7% in the past year, and they're projected to increase at least another 2.5% in the coming year. The Chicago Metro has a local median home price of $294,900 with a price per square foot of $153. The third-largest city in the state of Illinois is Joliet with a population of 148,262 people as of 2016. The Des Plaines River has a large historical significance in this city, and this tradition is still solidly steeped throughout the economy. The downtown area is a very large business sector, and it continues to expand to this day. Joliet has an economy that is dependent on the manufacturing industry, and this has caused the economy to have fluctuations over the years leading to an unstable economy. Many people who live in Joliet commute to work in neighboring cities and this takes away from the local economy. However, tourism plays a large roll in the economy as a whole as well. Joliet is home to the Chicagoland Speedway, and this attraction draws thousands of NASCAR fans each year. There have been parts of many movies filmed in this city including The Blues Brothers with John Belushi, Stir of Echoes with Kevin Bacon, and the television show Prison Break. 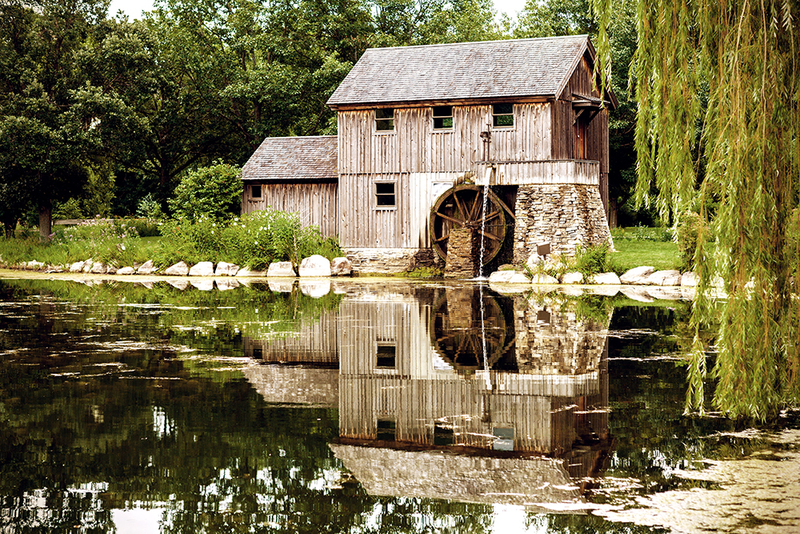 The Joliet Area Historical Museum celebrates the history of the city, and tourists can visit one of the city's oldest natural parks, Pilcher Park Nature Center. The city is also home to the famous Joliet Prison and a couple popular casinos. There are three public school districts that serve the city of Joliet. In addition, there are also a few religion-based and private schools. The US Department of Labor operates a Job Corps in this city. Students can attend the nation's first public community college called the Joliet Junior College or they can attend the University of St. Francis. The economy has a large healthcare sector with two out of the top three employers coming from the healthcare field. The largest employer in Joliet is Presence Saint Joseph Medical Center with over 2,500 employees. The second-largest employer is the County of Will with over 2,400 employees. Finally, the Silver Cross Hospital rounds out the top three largest employers with 1,800 employees. Joliet's unemployment rate is currently higher than the national average, and it had a job growth of just 1.4% in the past year. The residents of this city are hoping this trend improves in the coming years and the city is projected to add over 35% more jobs in the coming decade. The local median home price in Joliet is currently around $135,000, and the price per square foot is around $98. Over the past year, these prices have gone up by 7.6%, and they're projected to continue this upward trend and rise another 2.7% in the coming year. The fourth-largest city in the state is Rockford with a population of 147,651 people as of 2016. 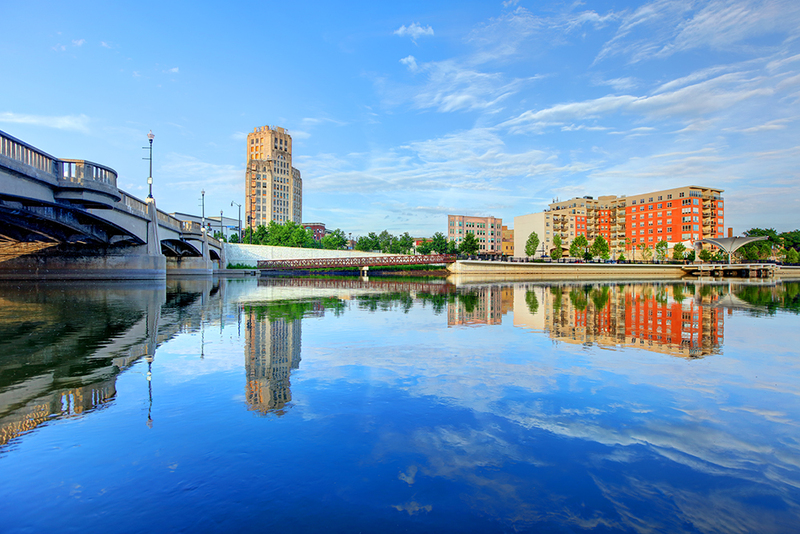 This population makes Rockford the 171st largest city in the nation. It is also part of the larger Rockford Metro area, and the Metro has a population of 339,376 people. This city has settled between 1834 and 1835, and it quickly became suitable for industrial development due to its strategic location between Chicago and Galena. Tourists have many local events and attractions to choose from. The city is known for its many architectural sites. The Coronado Theatre was named as one of the best places to visit in Illinois by the American Institute of Architects. The area is also a popular outdoor destination; hikers, campers, fishermen, boaters, and hunters often visit the environs of the city. The economy of this city relies on the manufacturing industry, but it also has large contributions from the healthcare, industrial, technology, and education sectors. This input helps to stabilize the economy, and it also gives it a diverse mix of businesses and jobs. Rockford’s economy is based largely on the local Chrysler assembly plan. The local school district, hospital, and UPS also create many jobs. The local climate is classified as a humid continental climate with four distinct seasons. The hottest months are July and August with temperatures in the mid-80s, and December through February has temperatures in the upper 20s. The spring months bring more warm temperatures with rainfall that can be heavy at times with the occasional thunderstorm. 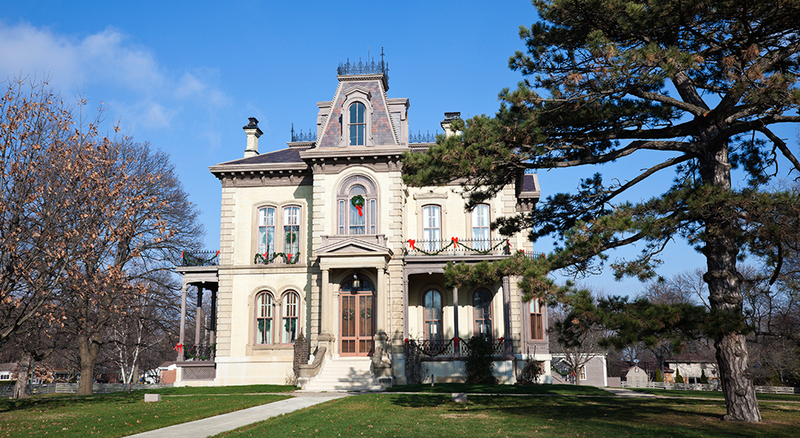 The Lake-Peterson House is on the National Historic Register and it is an excellent example of Gothic Revival. Rockford is a notable outdoor recreation destination, and Rock Cut State Park draws hundreds of tourists every year for hiking, fishing, and camping opportunities. Anderson Japanese Gardens is also another popular destination for residents and tourists alike. Although this city is large, it doesn't have any public four-year universities. It does have several satellite schools and community colleges. The Rockford University is a private university with around 2,000 students. Students can also attend Rockford Career College or the St. Anthony College of Nursing. The Rockford Public School District is the largest employer in this city, and it employs over 4,800 people. The second-largest employer in the city is Chrysler (Belvidere Assembly Plant) with 4,700 employees. Finally, the third-largest employer is the Swedish American Hospital with 2,600 employees. Rockford has an unemployment rate this is currently over 2% higher than the national average, and it saw a recent job growth of just 1% over the past year. Over the next ten years, Rockford's economy is set to get a boost and add more than 34%. The local median home price in Rockford is currently around $84,000 with a price per square foot of $62. Over the past year, these numbers have gone up by 7.1%, and they're projected to rise another 5.1% in the coming year. The Rockford Metro has a local median home price of $86,900 with a price per square foot of $74. The median household income in the city is $40,000 according to the U.S. Census Bureau. Thus, we see a price-to-income ratio of 2.1, which is excellent. 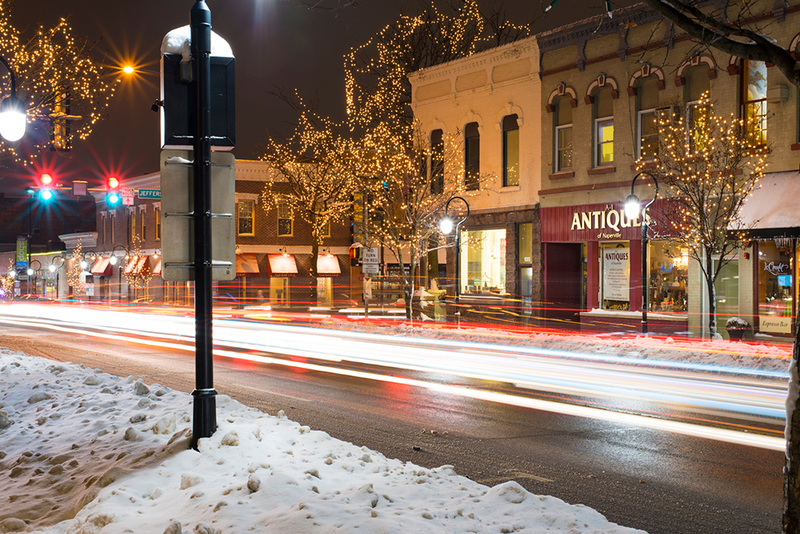 Naperville is the fifth-largest city in Illinois with a population of 174,122 people. This city is considered to be a suburb of Chicago, and it is part of the larger Chicago-Naperville-Elgin Metro with a population of 9,512,999 people. This city is ranked as being the wealthiest city in the Midwest, as well as the eleventh wealthiest city in the United States. The local economy is influenced by the nearby Illinois Technology and Research Corridor. There are many companies headquartered here, including many large retail chains, and these contribute to the local economy. In addition to this, the tourism and education sectors help to contribute as well. Naperville has a humid continental climate zone, but it has slightly cooler temperatures than other parts of the state. From June to August, the summer months bring temperatures in the mid-70s and the winter months bring temperatures in the high teens from December to March. There are two public school systems and eight colleges and universities located in and around this city. North Central College sits on 59 acres in Downtown Naperville. Northwestern College is also here, and there are several satellite colleges including Northern Illinois University. The largest employer in Naperville is Indian Prairie School District 204 with over 3,900 employees. The second-largest employer is Nicor Gas, and this company has 3,700 employees. Finally, the third-largest employer in Rockford is Alcatel-Lucent with 3,600 staff. The local economy is stagnant, and it currently has an unemployment rate that is 2.6% higher than the national average. There has been very little job growth in the past year to support the economy. However, this may change over the next ten years as Naperville is supposed to add 34% more jobs in the coming years. The local median housing price in Naperville is $376,800 with a price per square foot of $179. This price has gone up less than 1% in the past year, and it is projected to rise by 1.1% in the coming year. The Chicago Metro has a local median home price of $294,900 with a price per square foot of $153. Next up is Springfield, which is a 4-hour drive from Chicago along I-55. 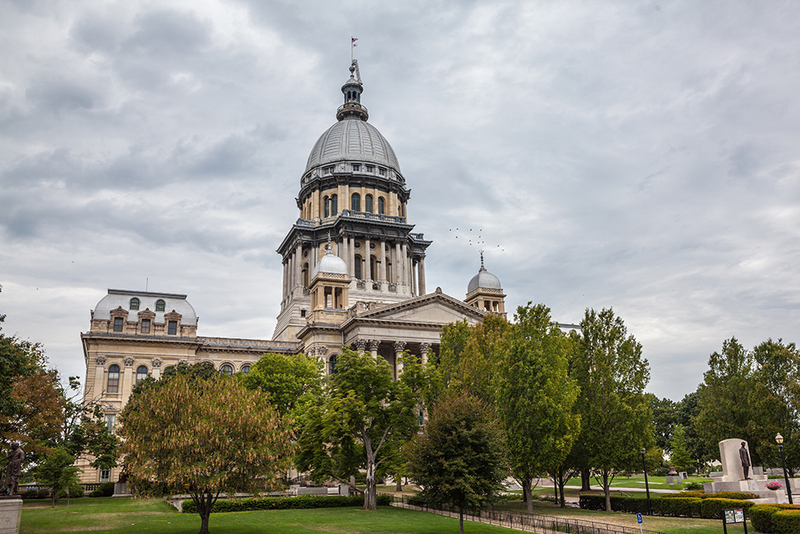 The sixth-largest city in the state of Illinois is Springfield with a population of 115,715. It is part of the larger Springfield Metro, and this area has a combined population of 210,015. This city also is also the capital city of the state of Illinois, and it was home to President Abraham Lincoln from 1837 to 1861, and the former U.S. President’s tomb is located in the city. It is on the U.S National Register of Historic Places. As this is the capital city, many jobs are government-based, and this makes up one of the largest sectors of the economy. The other two large contributing factors to the overall economy in this city are healthcare and education. Tourism also plays a smaller role as well. 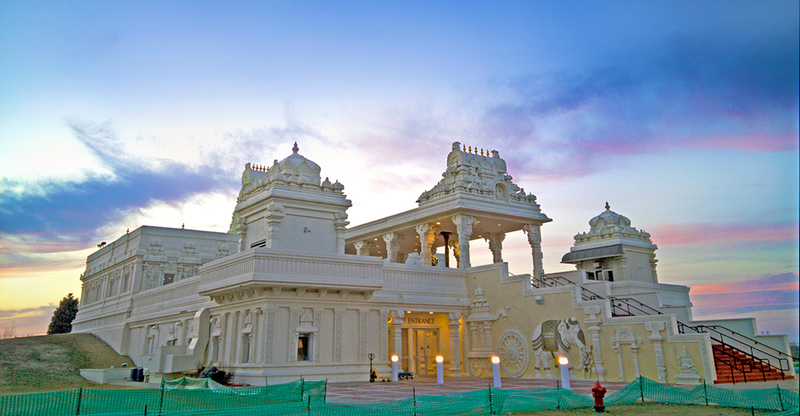 This city is classified by a humid continental climate with four distinct seasons. Hot, humid summer months are followed by cold and snowy winter months. The spring and summer months are cooler, and the spring months typically bring rain and thunderstorms. There is sporadic tornado activity in the late spring and early summer months as well. Springfield has a huge art scene, as well as a history of literacy. The Hoogland Center for the Arts is a large performing arts platform that has dozens of performances each year from several local ballet companies and the Illinois Symphony Orchestra. The Springfield Old Capitol Art Fair draws thousands of tourists each year, and the Route 66 Film Festival celebrates the historic road. Springfield’s economy is driven by state government bureaucracies and several local hospitals. BlueCross BlueShield also creates many jobs. The largest employer in Springfield is the State of Illinois with over 17,500 people employed year-round. The second-largest employer is Memorial Medical Center with 5,800 employees. Finally, the third-largest employer is St. John's Hospital with 3,000 staff members. The unemployment rate in Springfield is below the national average, and this city saw job growth of 1% over the past year. Over the next ten years, the city is projected to add another 35% more jobs. This may help to lower the unemployment rate further. The local median home price for this city is $105,300 with a price per square foot of $101. These prices have increased by 2.6% over the past year, and they're projected to increase another 4.1% in the coming year. The Springfield Metro has a local median home price of $124,900 with a price per square foot of $100. The Census Bureau gives us a median household income of $51,000, and this figure creates a price-to-metric ratio of 2.06, a fantastic value. In between Chicago and Springfield lies Peoria, The seventh-largest city in Illinois, with a population of 114,265. Peoria is also part of the larger Peoria Metro, and the Metro has a combined population of 376,246 people. This is the largest city on the Illinois River, and it is the oldest European settlement in Illinois. This city is named after the Peoria tribe that inhabited this area. Peoria’s economy is driven by a local Caterpillar factory. Other major employers include the local school district, a couple of hospitals, Walmart, Bradley University, and UPS. The industrial sector and the education sector make up large portions of the local economy. Healthcare, retail, and manufacturing are also large sectors that help to make up the overall economy of Peoria. The local climate is classified as a humid continental climate with four distinct seasons. June through September are the hottest months of the year with temperatures in the mid-80s. December through February are the coldest months of the year, and the temperatures typically stay in the mid-20s. Museums and performing arts are two big tourist draws in this city. The Peoria Riverfront Museum is a large popular museum that draws tourists year-round. The Steamboat Classic is held every summer, and this is the world's largest four-mile running race. The Peoria Zoo was recently updated, and the city’s Symphony Orchestra is one of America’s oldest. There are several registered historic places in the city. The city’s annual Santa Claus Parade is the longest running holiday parade in the U.S. There are four public school districts that serve this city, as well as several secondary education facilities. 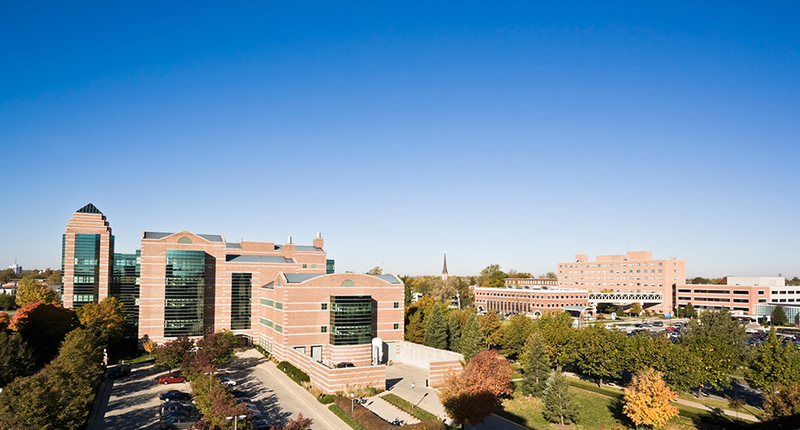 Students can attend the University of Illinois College of Medicine at Peoria, or they can choose to attend the main campus of the Illinois Central College. The local economy has an unemployment rate that is currently 2% higher than the national unemployment rate with no job growth in the past year. However, this may change going forward because Peoria is slated to add over 32% more jobs over the next ten years. The local median home price in Peoria is $86,300, and it has an average price per square foot of $80. These prices have declined by over 2.5% in the past year, but they're projected to rise by 3% in the coming year. The Peoria Metro has a local median home price of $129,900 with an average price per square foot of $96. Peoria’s median household income is $47,000. Combined with a median home price of $86,300 and $129,900 for the metro area, we arrive at a metric of 1.83 and 2.76 – both great figures. The eighth-largest city in Illinois is Elgin with a population of 112,123 people as of 2016. This city is part of the larger Chicago-Naperville-Elgin Metro with a population of 9,512,999 people. 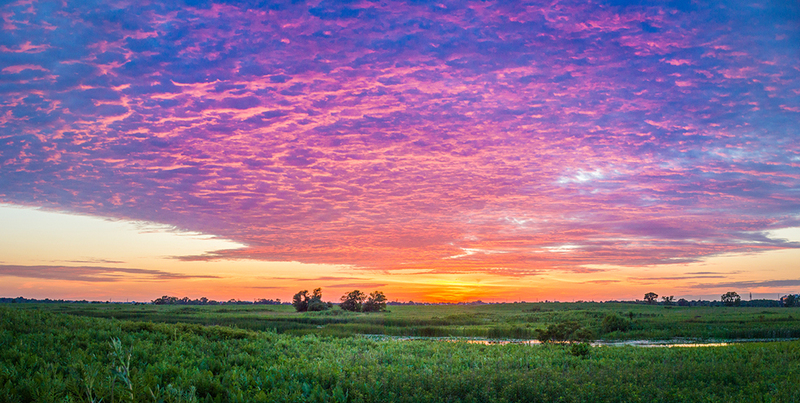 It is located around 35 miles northwest of Chicago along the Fox River. This city has a humid continental climate with four seasons. The summer months are hot and humid with temperatures staying in the mid-80s while the winter months are cold and snowy with temperatures staying in the high-20s. Elgin does see blizzard conditions in the winter, and the spring brings thunderstorms. There are several different parks throughout the city, and the Elgin Symphony Orchestra has been active since 1950. Tourists come to visit the American bison herd that is found in Lords Park as well as the Elgin Public Museum. Elgin is home to both credited and uncredited colleges and universities including the uncredited university of Providence Baptist College. Students can also attend the Elgin Community College which is one of the fastest-growing community colleges in the state, or Judson University. The economy of Elgin is diverse, but healthcare and finance are two of the largest industries. The largest employer is Sherman Hospital with over 2,200 employees. The second-largest employer is JP Morgan Chase with 1,880 employees, and the third-largest employer is Presence Saint Joseph Hospital with 1,330 people. The median local home price for Elgin is $177,800 with a price per square foot of $117. These figures have increased by 4.9% in the past year, and they're projected to rise another 2.3%. The Chicago Metro has a local median home price of $294,900 with a price per square foot of $153. The fastest growing city in the Prairie State is Champaign. Located between Springfield and Chicago, the city is home to 86,637 people. The broader Champaign-Urbana metro area has a population of 238,554. The local colleges attract many cultural events and tourists each year. The local economy is driven in large part by the University of Illinois. Other major employers include Intel, Kraft, Yahoo!, and Parkland College. The median home price in Champaign is $170,000, according to Trulia. The region's typical household income is $48,000. These numbers give us a ratio of 3.54, which is quite good. Bloomington is home to 78,005 residents, while the broader Bloomington-Normal metro area has a population of 188,644. Illinois State University is based in Normal. State Farm Insurance is a large local employer with over 14,000 local employees. The local median home price is $150,400, increasing 2% over the past year. The median price of homes in the metro area is $174,900. Lower housing costs in the Prairie State can be found in Coles County, which is one hour south of Champaign on I-57. Eastern Illinois University is a large employer, and healthcare, manufacturing, and retail sectors also provide jobs. The median income in the county is $41,000, and the typical home price is $92,000. As of July 1, 2016 the state of Illinois has an estimated population of 12,801,539 across 55,518.93 mi² yielding a population density of 230.58 people per mi² across the state. The following table highlights the July 1, 2016 populations of cities, towns, villages & Census Designated Places (CDP) with over 5,000 residents based on United States Census Bureau estimates. For Census Designated Places (CDP) where there was no population estimate available for 2016 the 2011-2015 American Community Survey 5-Year Estimates data was used. As of 2019 the conforming loan limit across the United States is set to $484,350, with a ceiling of 150% that amount in areas where median home values are higher. The $484,350 limit applies to all areas across the state of Illinois. Dual unit homes have a limit of $620,200, triple unit homes have a limit of $749,650 & quadruple unit homes have a limit of $931,600. Home buyers who are borrowing more than the above amounts to purchase premium properties in exclusive Chicago suburbs will likely need to obtain a jumbo mortgage. Jumbo loans typically have a slightly higher rate of interest than conforming mortgages, though spreads vary based on credit market conditions. Residents of the Prairie State have many home loan options available to them. The most common is the fixed-rate mortgage, and as the name suggests, this type of loan has an APR & a monthly payment that do not fluctuate. Available loan terms include ten, fifteen, twenty, and thirty years. The most popular mortgage is the 30-year fixed-rate loan. This term creates the lowest possible monthly payment, although it will have a higher interest rate than shorter-term mortgages. The difference in APR can be a full percentage point or more, which means that the 30-year loan will be more expensive by accruing an extra tens or even hundreds of thousands of dollars in interest throughout the duration of the loan. Adjustable-rate mortgages are also available in Illinois. These loans have a fixed interest rate for the first few years, and then the APR changes periodically. Because the initial rate is lower than the APR's of fixed-rate loans, ARM's are attractive to people who plan to sell a house after just a few years. While these instruments have lost some of their attractiveness during the recession, there are still circumstances where they offer the only way for a borrower to qualify. Properly structured (that is, with strict limits on how much the rate can fluctuate), such loans are still a legitimate way for borrowers to purchase a home and start building equity while establishing their credit so as to qualify for conventional loans upon the ARM’s expiration. These loans provide interest rates that fluctuate, as the name implies. The APR is usually fixed for an initial term, such as three, five, seven or ten years. Then the rate adjusts depending on the performance of a referenced index rate, usually once per year; but it can change more frequently. The loan agreement may state in detail how frequently the APR can change, and it may also include a rate cap to prevent large changes. Interest-only loans are less common, but still available in the Land of Lincoln. With this type of mortgage, payments are applied only to interest during an introductory period. This means that the loan's principal is not paid during this period, and when the mortgage's interest-only stage ends, monthly payments go up significantly because the principal hasn't been paid down. After the IO period, monthly payments spike because the loan's principal hasn't been reduced & the remainder of the loan must be paid off in a compressed period of time. For example, on a 3 year IO 30-year loan, the first 3 years are interest only payments, then the loan principal must be paid in full in the subsequent 27 years. Illinois law allows for home equity loans. These are often used by residents of the Prairie State as second mortgages to avoid taking out jumbo loans on expensive properties, thus avoiding the high interest rates associated with them. It should be noted that interest on home equity loans is no longer tax deductible unless it is obtained to build or substantially improve the homeowner's dwelling. The banks that offer these products normally want to see credit score above 720, although mortgages are certainly available to borrowers with lower scores. Some mortgage lenders have approved borrowers with credit scores around 640. The best interest rates and lowest fees will be found above 740, however. There is a lot of competition among lenders, and this environment can create nice perks for borrowers. For example, some banks will offer special deals on closing costs for borrowers who qualify. The cost might be added to the mortgage or the bank will pay the closing costs but add a few basis points to the APR. Mortgage lenders also want a down payment of at least 20% and debt-to-income ratios lower than 40%. Options are available to borrowers who don't meet these standards. Banks will accept worse numbers, but fees and APR's could go up as a result. Also, a down payment of less than 20% typically results in required mortgage insurance. This down payment requirement does not apply for Federal assistance programs such as FHA, in which applicants can have a lower credit score and income but still receive financing. Besides the private lenders, there are some attractive government programs that provide mortgages. The Federal Housing Administration, for example, offers FHA home loans to borrowers who can put at least 3.5% down and have a credit score of at least 580. Because the down payment is less than 20%, private mortgage insurance (PMI) is required. The Veterans Administration has a very appealing mortgage program to current & former members of the armed forces. Unlike the FHA, VA loans require neither a down payment nor PMI. There is a funding fee of up to 3%, however, to compensate the agency. USDA loans can help people with low incomes in rural parts of the state qualify for a subsidized low-interest loan. Given the low population density throughout most of the state, most locations outside of the Chicago metro area qualify. The state of Illinois hasn't forgotten about people who don't qualify for any program, as it has a host of housing assistance services. The Illinois Hardest Hit Program, for example, offers mortgage payment assistance to home owners who have been set back by unemployment. The Illinois Housing Development Authority designed the HomeIllinois program to help low to moderately low-income applicants obtain housing. The funding comes in the form of a 30-year fixed rate mortgage that has interest rates below the national average. You can also customize parts of this program to suit your situation. Applicants get lender-paid mortgage insurance, $5,000 for a down payment or closing costs, Federal tax credits for first-time homebuyers, and the choice of loan. Applicants do have to contribute $1,000 or 1% of the loan amount, meet the purchase and income limits, live in the home as a primary residence, meet the credit score requirements, and complete homebuyer counseling. The First Home Illinois program is designed to help first-time homebuyers pay for their closing costs or down payments. You get $7,500 to cover these costs and a mortgage that is for a term of 30 years, and it is at a fixed interest rate. Applicants do have to meet income limits and credit score requirements. Additionally, applicants have to purchase a home in a certain county to be eligible. Homeowner's insurance policies typically do not cover flooding. Most of the state of Illinois is considered to have a very low flooding risk. Counties with relatively elevated risks are listed below. Most of Illinois has a very low earthquake risk. The southern edge of the state near where Arkansas, Illinois, Indiana, Kentucky, Tennessee, and Missouri converge there is a fault line which leads to moderate earthquake risk. Here is a list of counties with a risk profile above very low. Large portions of the state are considered to have a moderate tornado risk. The southern portion of the state bordering Missouri is considered to have a high to very high tornado risk. A basic homeowners policy should cover financial damages from tornadoes. Illinois has one of the highest property taxes in the nation with an average tax collected of $3,507.00. This works out to be around 1.73% of the homeowner's income. Lake County collects some of the highest property taxes at $6,285.00 per year, and Hardin County collects the lowest at $447.00. The median property tax rate across the state was 2.13% in 2016, which yielded a $4,845 assessment on the median single-family home valued at $227,242. In Chicago the median assessment on single-family homes was $5,812. In Illinois, a single person who suffers an unexpected bankruptcy can claim $15,000 for their Homestead Exemption. If they're married, they can claim double that amount up to $30,000 in property. You must be the legal owner of the property and have your name on the deed to exact the Homestead Law. In Illinois, foreclosures are done through judicial means, and this means every foreclosure must go through the court system. This can make the process longer from start to finish. Once a judge rules in favor of the plaintiff, which of course is the lender, a county Sheriff auctions off the house. If the auction price doesn't cover the mortgage balance, a deficiency judgment can be used against the borrower to pursue additional funds. Additionally, Illinois is a recourse state, and there are two types of recourse a lender can choose to take. The lender can either use the defaulted borrower for the deficient amount personally in an in personam deficiency or they can choose to do an in rem deficiency judgment. If they choose the second option and the borrower chooses to recover their home during the redemption period, the mortgage lender puts a lien on the property that the borrower must pay before they own the property free and clear.